Hey, what's the deal with the commercial ad here? What the hell is a strut bar (or brace) and what does it do? Most people who have strut bars probably have no idea as to why they have one other than that it looks cool in the engine compartment. The following is a short stab at an explanation of what a strut bar does, why you should have one and a review of the BMW OEM version. What is a strut bar? 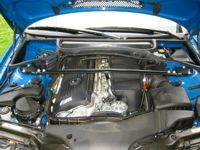 A strut bar is a way to mechanically tie the tops of the strut towers together to help them resist deflection under hard cornering or on rough surfaces. Why is strut tower deflection bad? When a strut tower deflects it affects the camber of your front wheels which in turn affects the amount of rubber you have on the ground. With cars that tent to undestear as is in the case of the E46 M3 this is that much more important. A strut bar attaches to the tops of both strut towers and spans across the top of the engine compartment. If effect, the strut bar creates a parallelogram rather than the U shape the structure has without it. When a strut tower tries to deflect in or out from the loads placed on it, the strut bar forces it to either push or pull the other strut tower in unison making it that much harder for the single tower to deflect. There are two basic types of strut bars: Hinged and "Solid." The hinged variety is a three piece affair: Two brackets that fit on top of the strut towers and a center piece which is attached to the brackets via a through bolt that basically acts like a hinge (examples are Dinan and Racing Dynamics). The "solid" version is a one piece bar or a bar made of sections but put together in such a way that there is no movement between the brackets and the center section (as in the case of the BMW OEM and AC Schnitzer versions). 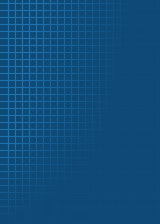 It seems obvious to me that the "solid" approach is better since the point of the whole exercise is a solid connection. Why then are hinged bars available? Simple answer is that they are easier (thus cheaper) to make. As someone once told me, a hinged bar is aesthetic and solid version is functional. Most cars will benefit from the addition of a strut bar - convertibles will benefit more than coupes, etc. On to the product at hand - the BMW OEM Strut Bar. 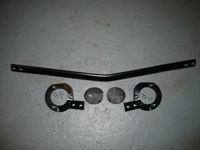 This is now stock equipment of 03 E46 M3's but can be fitted to any E46 M3 that did not come with it (01 & 02) models. 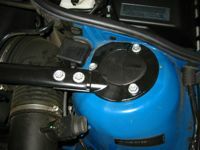 If purchased from BMW, the kit contains 2 brackets, a transverse (center piece), 6 special nuts and 2 plastic covers (see image). The brackets are cast and badly finished (at least by BMW standards). They are purely functional so if looks are not a big deal then lets move on. All main pieces are finished in matte black which blends well with the rest of the engine compartment but unfortunately the nuts (you have to re-use 4 or the 6 nuts you remove from the strut towers) are a dull natural metallic finish that looks like hell. The installation takes less than 10 minutes and can be accomplished by your mother. This beast is not pretty, but does it make that all important driving difference? In a word, YES! The car instantly feels tighter when put into a hard turn. There is less play in the front end of the car and steering inputs seem to get a quicker response. Over rough roads, there is less movement and when you hit a rough spot in the middle of a turn the car tracks better and does not lose its composure as quickly (not that the M3 is a slouch when it come to taking a turn but this just improves things another degree).